Computer vision has traditionally relied on an assortment of rather involved components. On the other hand, everything you need to do this complicated task is readily available on an Android phone. 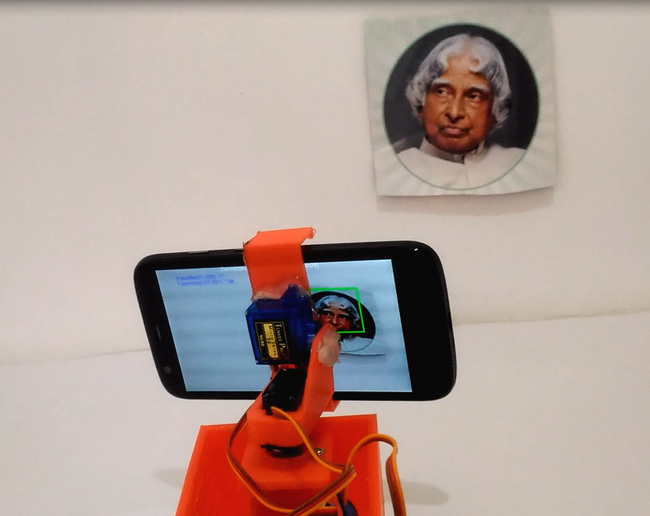 The clever setup seen in the video here uses a smartphone to capture and process images, then send out a signal over Bluetooth to tell which way the device needs to be adjusted in order to focus on a nearby face. An HC-05 Bluetooth module receives this signal and passes it to two servo motors via an Arduino Nano, moving the phone left/right and up/down. 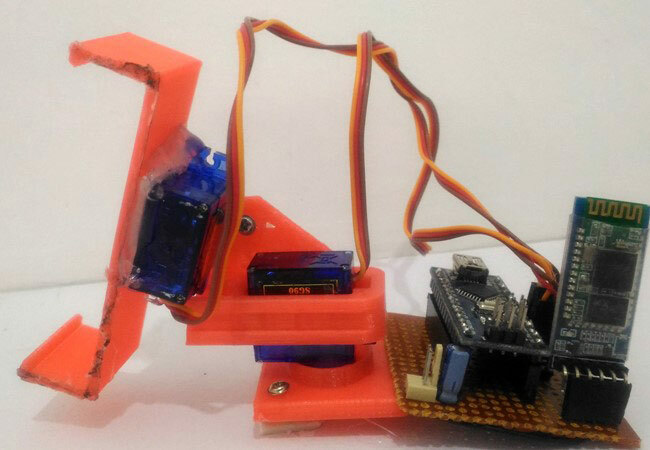 You can find the Arduino code for this project on CircuitDigest, and the Android Processing code can be downloaded there as a compressed folder. Very cool. I can envision a lot of other applications as well.